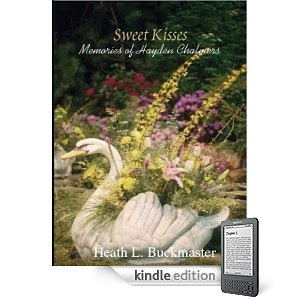 Sweet Kisses - Memories of Hayden Chalmers was written by Heath L. Buckmaster. I can't express what a REAL character Heath created in Sophia. I felt so connected to her... and months after finishing the book I find myself still thinking about her. I will say (while trying not to spoil any of the story) that I didn't love a certain part of Sophia's story. I found myself wanting to change it just a bit. I sent Heath a message... including my feedback... and he said his Mother actually felt the same way. HeeHee. I would love it if you all would read this story and let me know if you feel the same way.